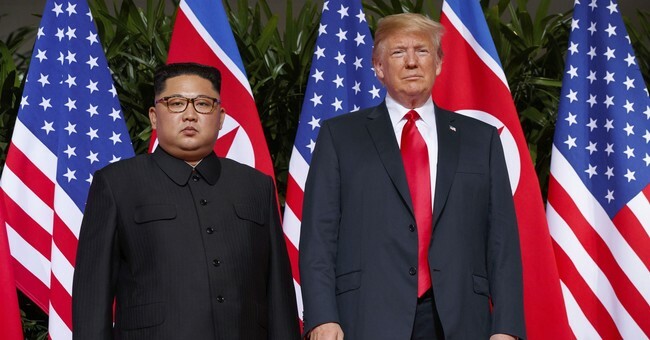 The nuclear summit between President Trump and North Korean dictator Kim Jong Un fell apart Thursday when the parties failed to reach a deal over the issue of sanctions relief. In a news conference Trump explained the meeting ended abruptly because of Kim's insistence on lifting sanctions without committing to the elimination of his country's nuclear arsenal. Mr. Trump said that Mr. Kim was prepared to dismantle the North’s Yongbyon nuclear complex, the site of a reactor and plutonium-reprocessing facility, if sanctions were lifted. Mr. Trump said Washington wanted a deal to include other parts of the North’s nuclear program, including undeclared sites for producing highly enriched uranium. Earlier, Mr. Trump told reporters that he wasn’t in a hurry to reach a deal as long as North Korea didn’t conduct nuclear and missile tests, and asserted he was optimistic that an accord to denuclearize the peninsula would eventually come. There was also some common ground on the issue of whether the U.S. might open a liaison office in North Korea--a question asked of both leaders by a reporter. Trump called it "not a bad idea" while Kim said it would be "welcomable." The two were expected to sign a joint agreement Thursday afternoon, but that ceremony was cancelled along with a scheduled lunch meeting. Trump is now heading back to Washington.